As I sat waiting for Hurricane Ophelia to pass by this small island, I could not have chosen a more apt story to get me through the last 48 hours. With no access to the usual luxuries of internet, electricity or even water, of course my over dramatic mind compared it to as if the world was ending, shows I have little to worry about! 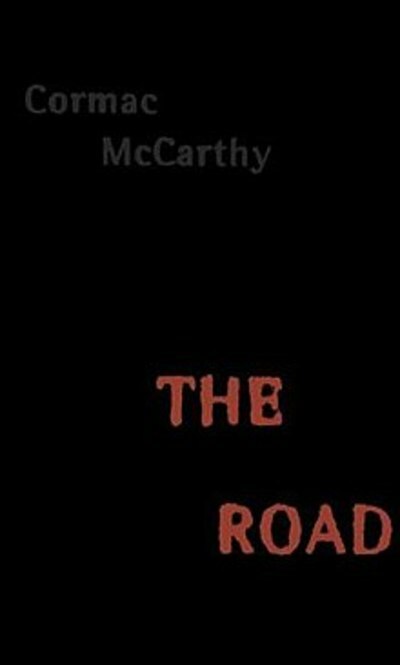 However, I could not help but compare my situation to the post-apocalyptic story of Cormac McCarthys novel The Road. I must say this book is unlike any I've ever read before in regards to writing style, explanation of characters and the author keeping his cards close to his chest in revealing the true details of how the world has gotten itself into this situation. Published in 2006, the book follows a father and son who have survived an unspecified world disaster. The author chooses not to give names to these characters, which I find quite annoying but it adds to the uniqueness of the story. We follow the pair on the their path along "the road", searching for food and a safe place to rest their heads. We know they are heading south but it is never fully revealed what they aim to find at the end of the road. Along the way they meet good and bad people, and this is where it gets graphic. If you are squeamish about blood and guts and the odd cannibalistic person then this is not the book for you! However, I found that this book really kept me on my toes and found myself entranced by the story. Obviously in any end-of-days story, the characters face many struggles and scenarios and I feel the author explained each with amazing description which really made me feel apart of the story. At times though I found that the zooming from present to past in the same chapter added a lot of confusion to the story and I feel that this was quite unnecessary. I would hate to give away the ending, so without saying too much more I can guarantee you that you will be left with tears in your eyes and longing for more of this tragic, heart wrenching but exhilarating story. It's quite a short read at only 287 pages so there really is no excuse not to give it a read!